Florence Peters was a dedicated PAWS of CNY (formerly Sunshine Friends, Inc.) volunteer that many of you knew personally before she lost her battle with cancer in 2011. 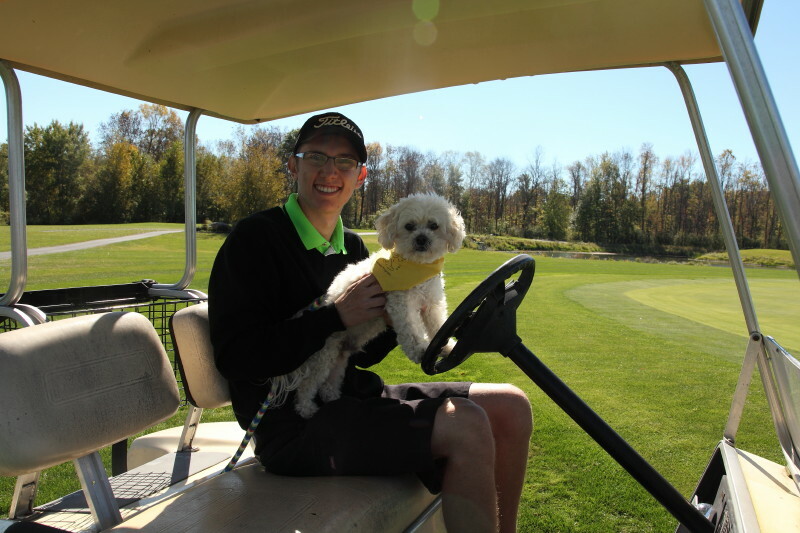 Flo and her husband Jim started an annual golf tournament that now lives on in Flo’s memory with proceeds benefiting Hospice of the Finger Lakes, and PAWS of CNY. This year’s Soup Bone Golf Tournament will be held on September 25th at Millstone Golf Course in Elbridge. Please help PAWS of CNY to support this year’s Soup Bone Tournament by purchasing Ball Drop Raffle tickets. Raffle tickets are on sale for $5 each, or 5 for $20. Each raffle ticket corresponds to a numbered golf ball. When the balls are dropped onto the course from the top of a fire truck ladder, the closest to the pin will win $1000! Second place wins $500, third place wins $200 and fourth place wins $100! Contact us to purchase tickets. Payments can be made online securely via PayPal. Click here to pay online.